Mie University | Weekend Survival Japanese Course (2016 spring) was held!!! Weekend Survival Japanese Course (2016 spring) was held!!! On May 14th, the first class of Weekend Survival Japanese Course (2016 spring) was held. 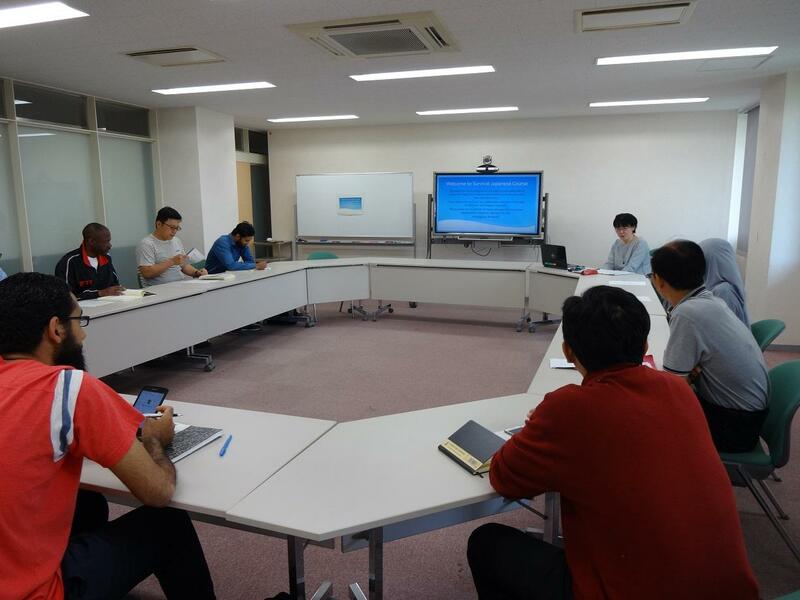 The objective of this program is to acquire conversation skill as required in Japan for students and research students who can't take Japanese class. It has 13 students, they practiced mainly "Greeting "and "Self-introduction" in the first class. After that, they learned how to ask someone and practiced with partner. They worked hard in practice which is very useful for Japanese life. At first, they were a little nervous, but gradually became more relax and really enjoyed themselves at the end.